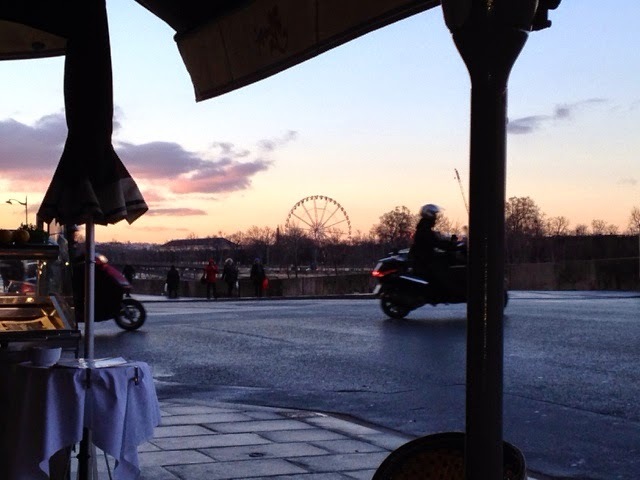 If you have been reading my blog for a bit you may already know that I have a serious love for Paris and much to my envy, my sister lives there. 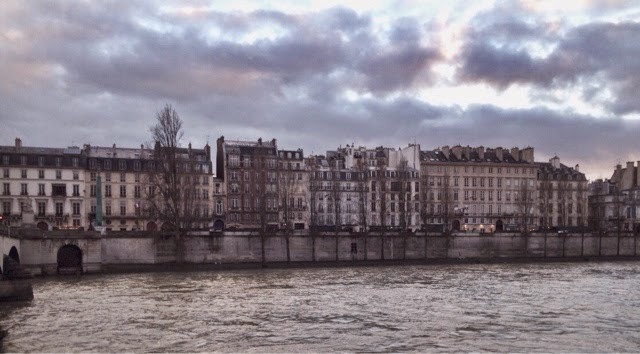 I haven't been there for a few years and have been dreaming of going back for far too long... this year I decided it was the year... even with our big holiday already planned for June, Paris was going to happen. Luckily for me, Tom agreed and I began planning it while he was on deployment. What better way to spend your 25th birthday than travelling to the City of Lights and Love. (There is no sarcasm AT ALL in that sentence). I did cheat in that I made sure the flight from Luton wasn't ridiculously early... 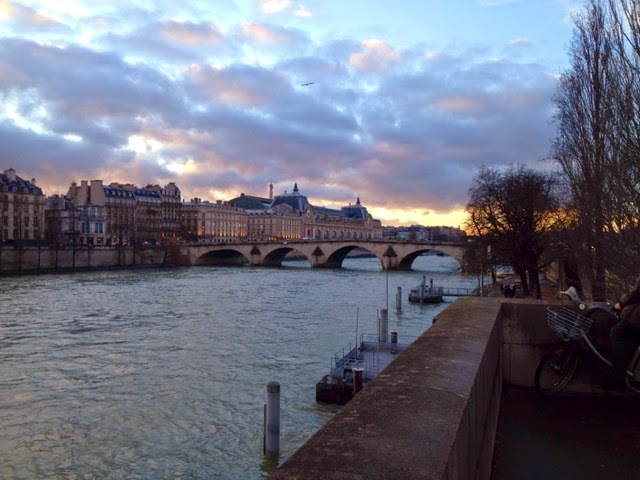 I traded having more time in Paris for relaxed travelling, definitely worth it. Noone needs a 4 am start on their birthday! We arrived at my sisters house at about 7pm in time for Birthday Cake with the children before they went to bed which was perfect! My sister doesn't live in the centre of Paris so we had to hop on the RER to get about. I found a really handy app which I downloaded before we arrived: 'Paris Metro RATP Map and Route Planner'. 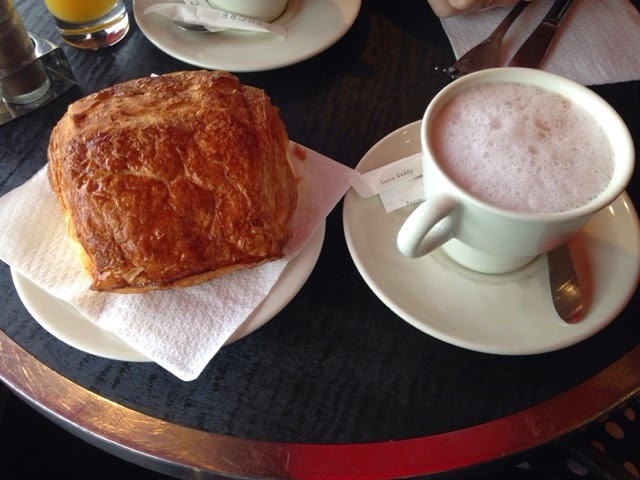 I would really recommend getting this if you are visiting Paris... it takes soooo much stress out of travelling.. So then... we headed home and that was the end of our day in Paris! 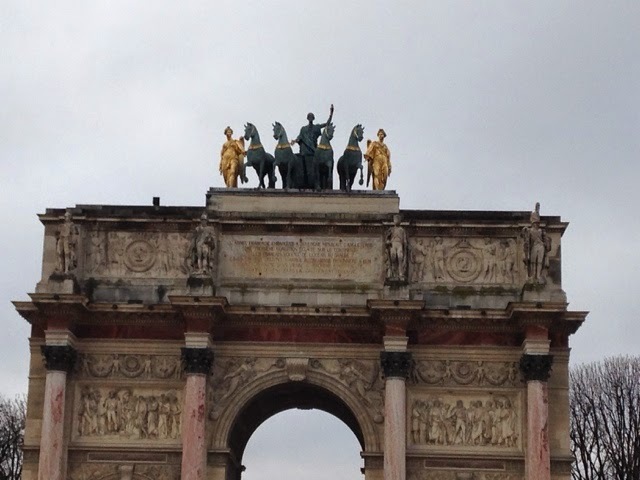 I don't know how we didn't get lost on our way to the Champs Elysees but, when we finally made it after a few stops for shelter, we headed up towards the Arc de Triomphe in true tourist style, we didn't spend much time taking it in due to our miserable states! Really we just wanted to get inside somewhere warm and dry! 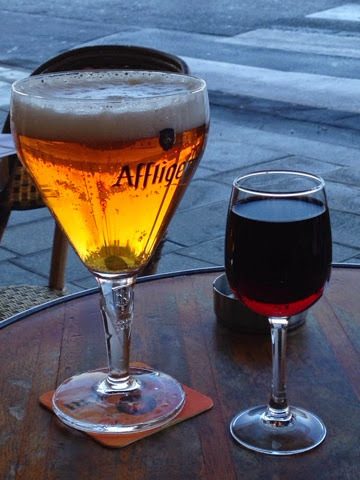 Once we had warmed up and dried off a bit we headed down the Champs Elysees popping in and out of shops and cafe's (occasionally McDonalds - really, how many does one street need??!). 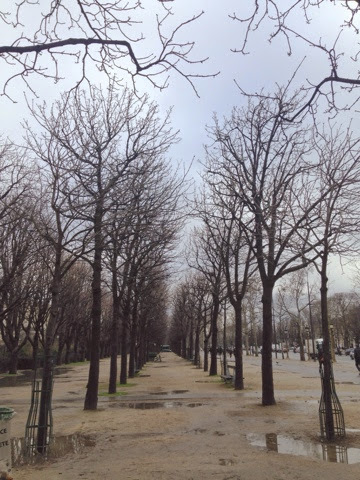 I love the Champs Elysees even in the rain and snow...its so pretty and full of life. 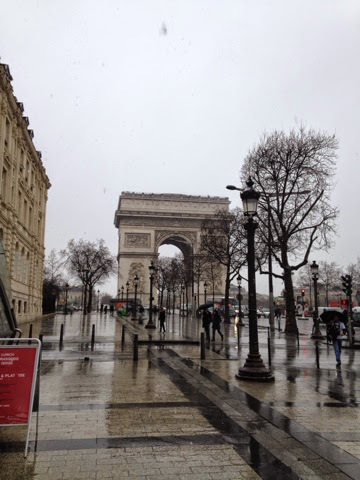 Arc de Triomphe with snow! 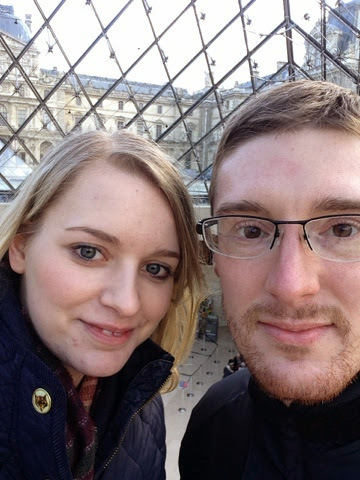 Tom wanted to visit the Louvre so that was our next point of call after the Champs Elysees.. 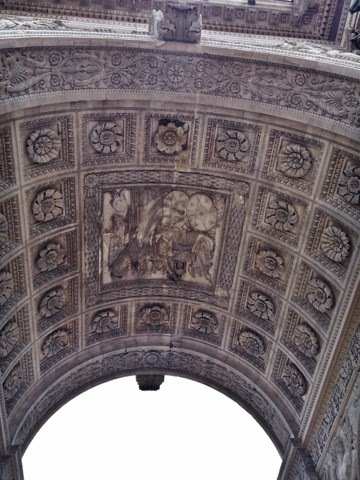 I say Tom wanted to visit the Louvre because my first experience, in 2004 involved deep boredom. 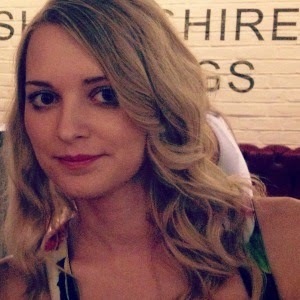 I did think that as I was going to have to 'suffer' it again I should discover why I had thought that it was so dull... It transpired we only went in to see a specific exhibition and not much else. That exhibition clearly wasn't my cup of tea at 14. 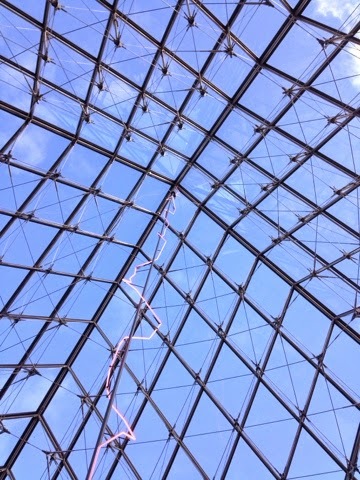 My second experience of the Louvre was very different. Aside from still being cold and wet, I really enjoyed it. We started with Lunch in Le Comptoir de Louvre which genuinely sold the nicest baguettes I have ever tasted! Not over stuffed either so you didn't spend the entire time catching the contents as you were trying to take a bite! We had heard on the grapevine that there was no way we would make it round the Louvre in a day so we picked the Egyptology sections and the Mona Lisa as our minimum for the day. 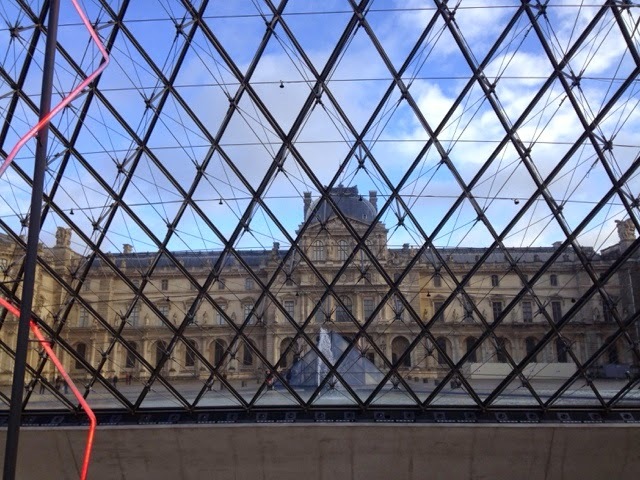 We actually managed to see quite alot more including the history of the Louvre and Marie Antoinette's rooms. I still can't quite work out how I feel about the Mona Lisa, her two body guards and enormous group of admirers. It's a beautiful painting and very impressive but she's opposite a gigantic scene that was extremely distracting. I'm still working out how it was even possible to paint on a canvas that big! It was probably entirely purposeful that they were displayed like that it just didn't work for me. 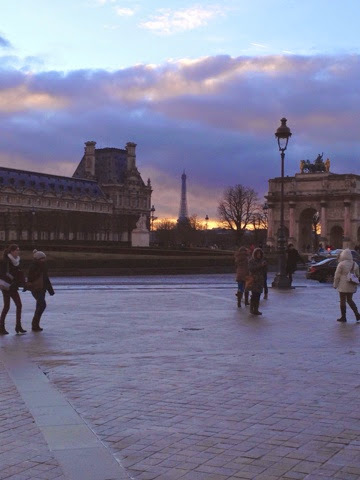 When we came out of the Louvre the sun was setting and we were both finally dry! On our way back towards the station we stopped at a cafe and sat outside under blankets and a heater for a couple of hours watching the world go by. It was definitely the perfect end to our first day in Paris. 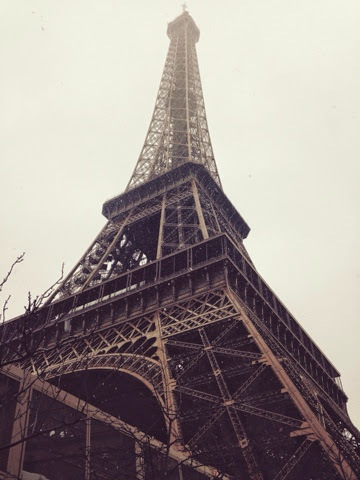 To avoid complete Paris overload Part II is on its way to round up the rest of our mini break! 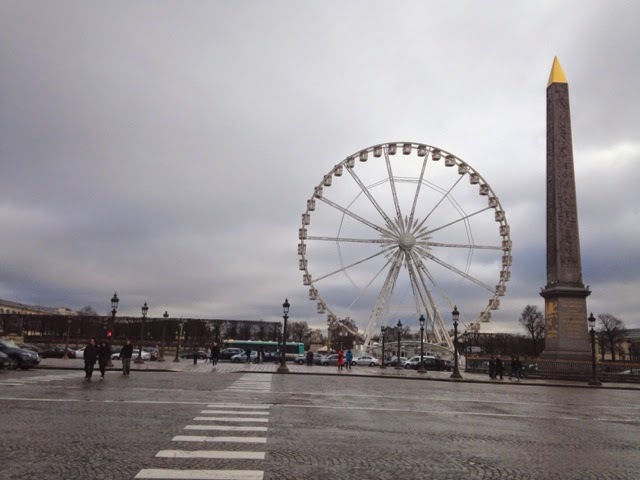 I loved visiting Paris. I went to most of the places that you went to as well. We went to the Louve just to see the Mona Lisa. Our feet were killing us after a day of walking the city and all the popular attractions. I loved the Palace of Versailles. Everything was just so over the top and beautiful, just like I had imagined. 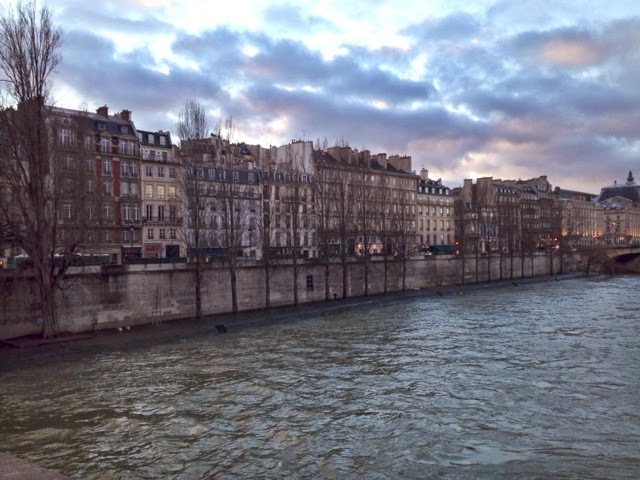 Paris is such a beautiful city. What took your sister to Paris? I would love to live there, but first I need to learn French. They weren't so kind to me when I tried asking for directions lol.